The City of Orem was incorporated in 1919. The high point in the City is 5,232 feet above sea level (upper water tank). The low point is 4,494 feet above sea level (Spring Water Park). The elevation at State Street and Center Street is 4,771.7 feet above sea level. At Center and State Street, the longitude is 111° 41’ 37” west and the latitude is 40° 17’ 50” north. The City is 18.24 square miles (or 11,674 acres). Based on the 2015 census estimate, the population was 94,457, an increase of 6,129 residents (6.9% increase) compared to the 2010 census count of 88,328. Based on the 2010 census, 27,337 people, or 30.9% of city residents were under age 18. The taxable value of all property in the City of Orem for the tax year 2014 was $4,687,940,210. In 2015, the estimated mean per household Adjusted Gross Income (AGI) was $65,944, with a mean exemption of 3.0 members per household and a mean per capita AGI of $19,339. 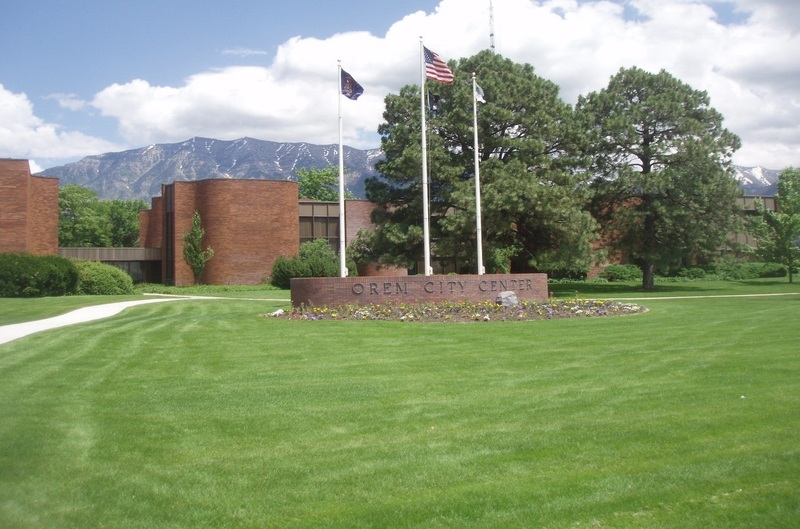 The average per house cost of Orem city services (General Fund) for 2015 was $153.13 per month. There is one university, Utah Valley University (UVU), which has an enrollment of nearly 33,000 students and is now one of the largest institutions of higher learning in Utah.